The Bohra community is a small one by any measure yet, remarkably perhaps, Sindh Governor Mohammed Zubair has singled out the efforts of Syedna and the community in restoring Karachi’s image as one of peace and security. Sindh Governor Mohammad Zubair has said that Karachi is returning to its past glory due to strenuous efforts of law enforcement agencies and Karachiites are enjoying life like the inhabitants of any other city of the country. He said this while addressing a reception organised in honour of participants of the 9th Karachi Literature Festival (KLF) at the Governor House on Thursday. He said social, cultural, sports, economic and other activities were gaining momentum with every passing day, and the participation of foreign delegates in such activities was a very positive sign of the increasing trust of especially the western world in the improving law and order in Karachi. Zubair remarked Pakistan was far better as compared to what it was in 2013 when it was faced with the enormous challenges of law and order and energy. Law and order had improved significantly while we would have surplus electricity during this year, he said. He further stated that international events were being held regularly now in Karachi, an international media conference was held last month, and there was a plan to hold an international film festival and a squash tournament in the coming months. Zubair said that “we all must accept the challenge of propagating reality about Pakistan as and when possible”. He thanked the foreign participants of the KLF and hoped that their stay would be pleasant and they would be convinced enough to convey the reality to their governments and countrymen. He said the KLF had become one of the prime events of Karachi and gained prominence in the calendar of events of Karachi by its uniqueness. The governor lauded the efforts of Ameena Sayid and the Oxford University Press for regularly holding this literary event and said it was promoting reading habit, especially amongst the youth. 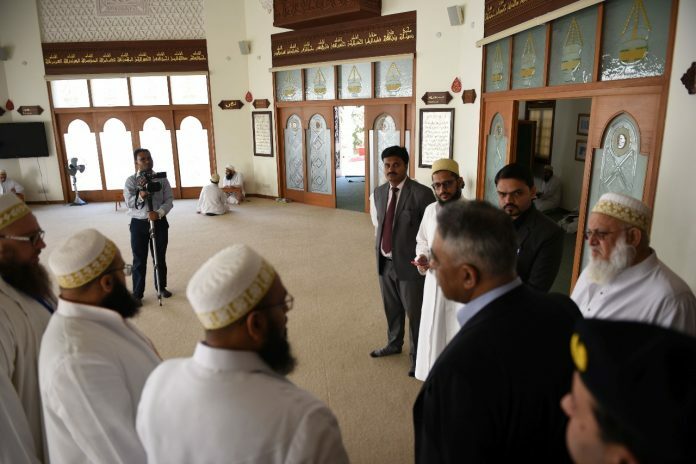 Governor Mohammad Zubair visited Aljamea-tus-Saifiyah Arabic Academy run by the Dawoodi Bohra community in North Nazimabad on Thursday. He appreciated the Bohra community for their discipline and contribution towards the progress and development of the province, including Karachi. During the visit, he was taken round classes, library and other facilities available to the students at the institute. He particularly expressed his interest in the library where rare manuscripts and precious texts were available to researchers. He said the Bohra community was a peaceful community of Sindh and had always played a positive role for the progress and development of Karachi. The community had also a role to sustain business activities in the city during the most riotous days and their services to the province were valued at every level, he added. Zubair said Dr Syedna Mufaddal Saifuddin had sent a message to the world about the restoration of peace during his speeches in majalis that he delivered in the month of Muharram in Karachi. A series of majalis addressed by Dr Syedna Mufaddal Saifuddin were attended by members of the community from across the globe. Expressing his gratitude to the religious leader of the Bohra community for his stay in Karachi during an important month of the Islamic calendar, the governor hoped that Dr Syedna Mufaddal Saifuddin would continue to visit the country at regular intervals. He was briefed that 800 students were enrolled in the academy and its sister organisations were also functioning in Mumbai and Surat in India, besides Nairobi, the capital of Kenya. The academy was established in 1966 and shifted to the new building in North Nazimabad in 1983. I feel honoured and privileged to be present here. What I have seen today has reconfirmed my belief about the positive contribution of the community towards the welfare of its people and Pakistan. It is a model for all other institutions in Pakistan to follow and learn. I am truly indebted for being invited here. I wish everyone here including the students the very best. Hope this institution continues on this outstanding work. The gallery contains several images. Photos courtesy of Aljamea-tus-Saifiyah, Karachi.